Fix: "Could not find this item. This is no longer located in [Path]. 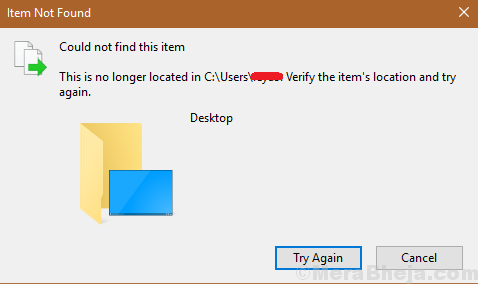 Verify the item's location and try again"
An interesting condition in Windows is when a file is hidden from the system such that we cannot delete, rename, or open it. However, the file still exists in the system directories. Where [Path] is the location of the file in the file explorer. Basically, if we cannot access a file, we cannot do anything with it. However, what could be understood is that this file could be located and modified using Command Prompt since it does exist in the system. One known reason is that the extension of files created by 3rd party applications might not be clearly defined and this, it might be untraceable by file explorer. However, we cannot conclude this to be the only cause. While moving to the resolution, the only thing we need to have in mind is the file while not locatable by the file explorer could be observed through Command Prompt. 1] Press Win + R to open the Run window and type the command cmd. Press Enter to open the Command Prompt. Where Z:\bad\folder\path is the path of the file and Z: is the drive letter of the drive in which the file is located. Where Z: is the drive in which the file is located. This would help rename the file so it doesn’t cause that error prompt again. This should help fix the issue.